I once advocated Apache OpenOffice in favor of LibreOffice, I even had this tutorial where you can remove LibreOffice all together and install Apache OpenOffice to your computer. If you like doing so, that's a personal choice. I had to study both softwares and make a decision that will affect me for a very long time. I chose brains over heart and here we are with LibreOffice 4.4.4 waiting for the 5.0 milestone, again not saying that Apache OpenOffice is bad, read more about my choice from here. 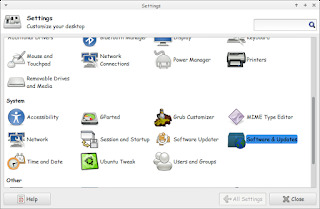 Since we used the command purge to remove LibreOffice, we have to install it all over again adding PPAs ( Personal Package Archives) to the system. And there is the GUI way for users who don't feel comfortable around the terminal! You will see that the source is added (In my case I took both screenshots after adding). 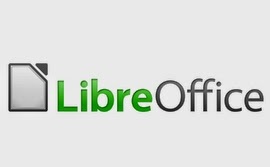 After we added LibreOffice PPA, Let's install the latest version! 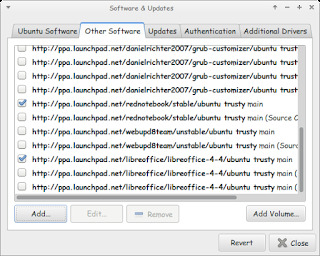 Use the command sudo apt-get purge libreoffice-* and confirm with y to remove the current version (if it's really old). Now we continue by downloading LibreOffice from the site and extracting it to the desktop, please note that the tar.gz file is just an archive and doesn't need any compiling, just extract with your default archive manager! Then write cd DEBS (Hint: If you have the option Right click and choose Open Terminal Here). Write the command sudo dpkg -i *.deb to install all the debs in the folder (Batch install). After it's done. You have LibreOffice fully running! The first step I'm not really sure it's neccesary. I'll have to wait till the next update to confirm that installing a new one removes the old (Can anyone confirm this to me?). 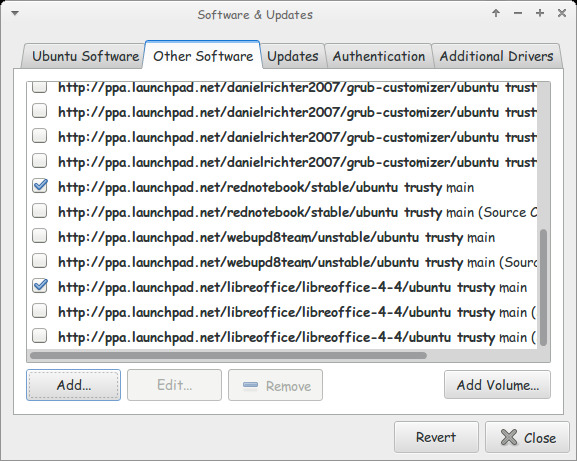 That was how to add LibreOffice PPA and install it to keep it always updated. Have a good one!